--Choose drawing colors, line styles, fill patterns, etc. Home Prospector 2001 is a PIM for Realtors(C) handes all areas of real estate. Provides the perfect financial planner for any 10 year projection. Planingz is a software for production planning, optimization and forecasting. Qweas is providing links to Home Plan Pro 5.2.25.11 as a courtesy, and makes no representations regarding Home Plan Pro or any other applications or any information related thereto. 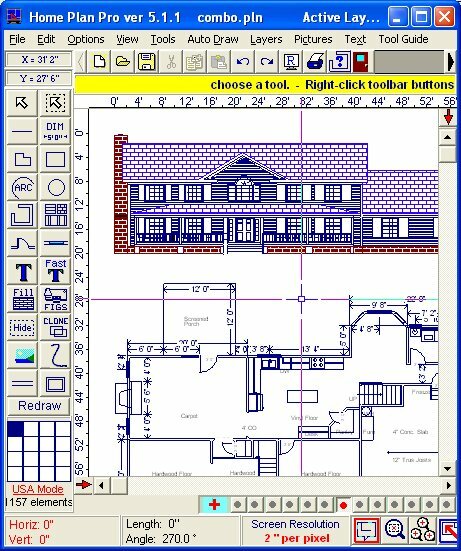 Any questions, complaints or claims regarding this application Home Plan Pro 5.2.25.11 must be directed to the appropriate software vendor. You may click the publisher link of Home Plan Pro on the top of this page to get more details about the vendor.